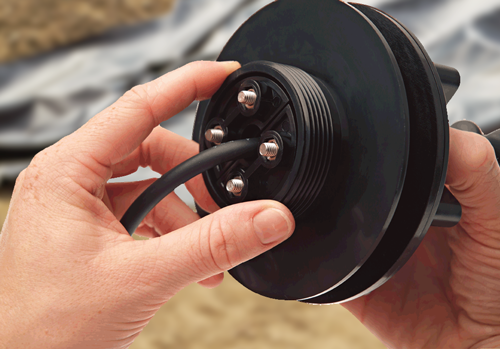 Tank connectors can be used to connect flexible hoses or threaded solvent welded pipework through the wall of a rigid water tank, reservoir or container. Tank connectors can be used to connect flexible hoses or threaded solvent welded pipework through the wall of a rigid water tank, reservoir or container. If using flexible hoses, the Union Hosetails below will screw directly onto the Tank Connectors. The OASE Tradux Wall & Liner Transition is specifically designed to allow a flexible hose or electrical cable to pass through a flexible rubber pond liner. The Universal Pipe Sleeve can be used to pass rigid pipes from 25mm - 175mm diameter through flexible pond liners with a watertight seal around the pipe.